Thank you for getting in touch and requesting information on Brazil. We have put together this guide to introduce Brazil to you knowing that is very easy to get bamboozled by too much information, therefore we hope this short guide will be enough to set you on the right course, without being too detailed. As such it is not meant to be definitive – for further details we strongly recommend that you look at our website or get in touch as we would be delighted to talk to you all about Brazil. 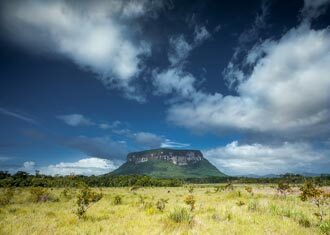 This staggeringly diverse country you will find some of the continents finest beaches, remote lodges in the biodiverse Amazon and Pantanal, charming colonial towns and pulsating cities. Brazil offers so much for everyone, and that’s why so many people fall in love with this special country and return regularly to continue their love affair. The following locations have proven very popular with those that have travelled with South America Odyssey to Brazil. We know the pros and cons of each destination and if you have any further questions about these locations, as well as other destinations, please do get in touch as we would love to speak to you about them. The Iguacu Falls is a collection of 280 waterfalls and without a doubt one of the “big 5” tourist attractions in South America. Many colourful bird species and small mammals call this extraordinary place home. As well as helicopter rides you can water-raft, take a short train ride to where the Parana and Iguazu rivers merge or take an exhilarating speed boat ride under the falls. The best hotel worth staying in is Das Cataratas – a stunning hotel by Belmond is the only hotel located within the National Park giving you private early access to the Brazilian side of the falls before the crowds. Rio is one of South America’s most iconic cities. It looks down on world famous beaches, vibrant communities and is a passionate city whose heart beats that little faster once a year during carnival. A place where glitzy malls back on to run down neighbourhoods and the Cariocas (Rios residents) live passionately amongst the marvelling tourists. It comes alive on weekends where there are a couple of notable street parties with local food vendors, cocktail makers, and you can’t mention Rio without mentioning its love affair with football. A 5* stay is ensured at Belmond Copacabana Palace which looks over the famous beach – many stars have passed through its doors as noted by the “Hall of Fame” on the second floor. For a hotel away from the beach then the Sofitel is also a super option. 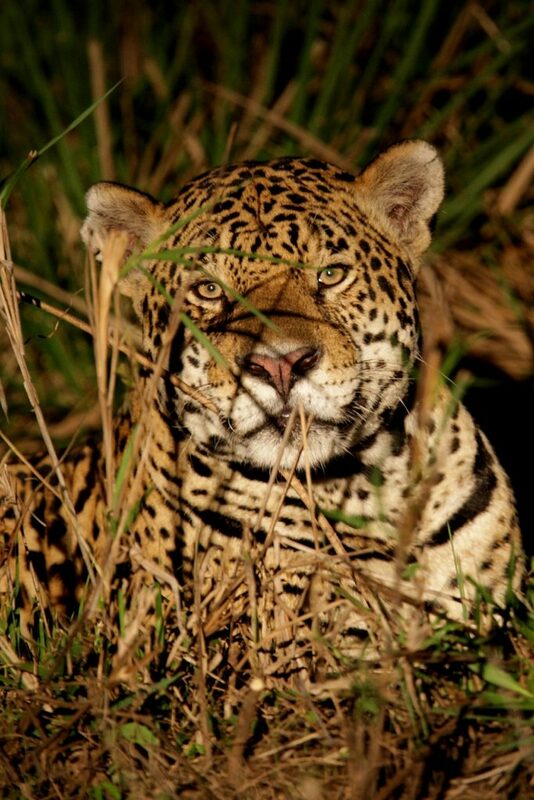 Wildlife spotting in the Pantanal is surprisingly easy when the seasonal flooding subsides (April-September) and the ecosystem of ponds, streams and lakes are prime locations to spot storks, capybara, caiman, parrots, puma and jaguars. 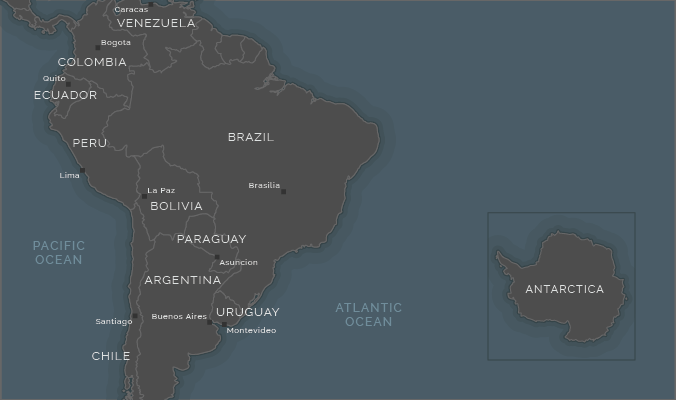 Most of the area is privately owned by large farm conglomerates or international conservation programs making it the best wildlife experience in Brazil. One of these private reserves is home to Caiman Ecological Reserve – this will provide an informative, traditional, comfortable base to explore the region from and is one of our favourite lodges in Brazil. 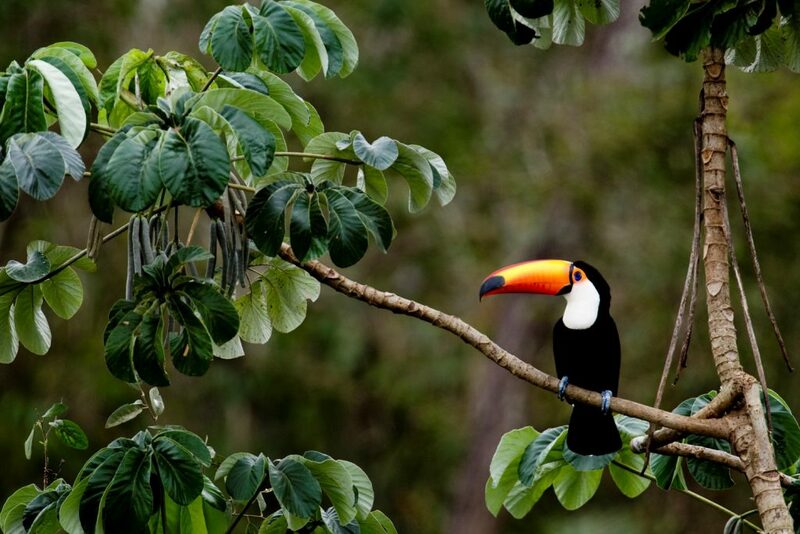 The colossal tropical rainforest sweeps across over half of Brazil offering a sanctuary for a multitude of flora, fauna and indigenous tribes. A stay here is about being in a beautiful habitat, rather than seeing lots of wildlife- as the area is so vast, the animals don’t tend to congregate around the lodges and people. Although hard to get to as you have to fly before settling into your lodge, it is worth the visit if you want to be surrounded by this rare and threatened ecosystem. 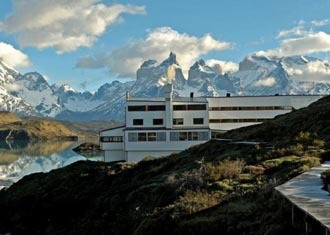 Enjoy daily botanical excursions from the comfort of Cristalino Lodge – our favourite remote hideaway deep in the forest. These two towns are picturesque stop offs near to Rio De Janeiro and great for families. Paraty is a charming little town that floods daily and is a great spot where you can explore the forests, soak up some Brazilian rays or wonder around the preserved historical centre. A picturesque spot ideal for families and those looking for more than just a beach due to its close proximity to the forest where you can trek, kayak, snorkel and much more. Stay at Casa Turquesa for a very comfortable stay in a friendly boutique hotel located within the UNESCO historically protected area. In Buzios you can find an abundance of crystal clear waters and trendy eateries on this green peninsula a few hours north of Rio de Janeiro. Now trendy bars and up market boutique hotels litter this location that is used by urbanites to escape the hustle and bustle of Brazils cities at the weekend – the South of France of Brazil. One of our favourites is located close to the peaceful waters of the Ferradura beach. The Insolito is a boutique property with lush green gardens, all the mod cons and great views out over the bay. This laid back beach location is slowly hitting the tourist radar due to its chilled out vibes, crystal clear waters and the friendly nature of the locals. Find a 17th century whitewashed church, stylish little bars, delicious seafood restaurants and miles upon miles of beach – an ideal spot for some escapism. Villas Trancosas is a fantastic place to stay if you are looking for a romantic and stylish boutique hotel – a great base to explore the region from. Closer to the water and not as hip is Pousada Tutabel-a beautiful option with direct access to the beach, yet within easy walking distance to the town. 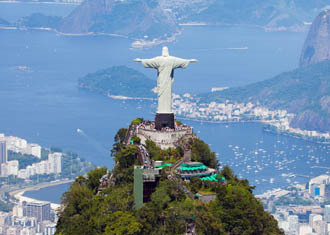 Brazil is an all year destination but as it is so expansive, it really depends on your itinerary. The hottest time of year is late December – March and is the local holiday season so can get very busy. 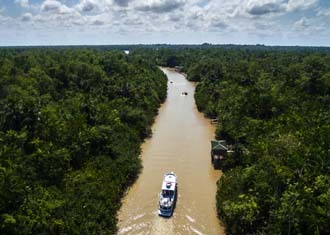 Avoid The Pantanal during the wet seasons (Nov-March) as mosquitos can be a problem – but if you are after beaches, then this is the ideal time to visit. Please speak to us about all the best time to visit as it all depends on your interests. How much dos a trip to Brazil cost? 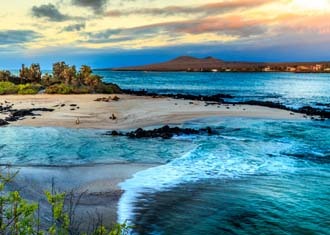 There is no easy answer to this one as all of our itineraries are designed from scratch to suit your interest and budget. 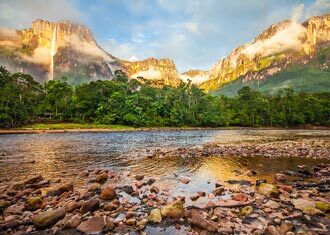 As a general guide then a two week trip to Brazil would start at £4,615/$6,000 per person, excluding international flights. Brazilian Real – cash can be taken out from many ATMs at airports and in larger towns. Brazilian Portuguese is the main language. English is widely spoken in the hotels. A few airlines offer direct flights to Brazil, but others have European connections. Average flight time is 11 hours. 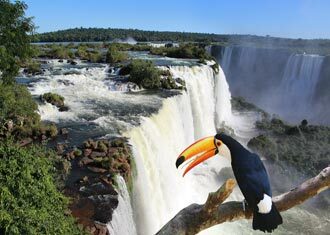 Neighbouring countries to combine with Brazil itinerary Iguazu Falls is a convenient pathway into Argentina for most visitors if you want to explore this similarly vast and diverse country. 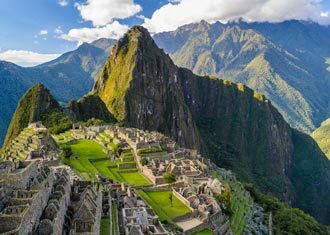 There are also direct flights to Peru taking 5 hours, if you wish to also explore the famous Machu Picchu and other points of interest.